The Relationship Ferris Wheel (Introduction) – Love. Life. Practice. This is the first part of a five-part series over the next few weeks describing a process used primarily in graphic facilitation. It was developed by Martin Haussmann, one of the founding members of the Kommunikationslotsen consultancy, a German firm that created the bikablo technique. Relax. That doesn’t mean you have to draw. It also doesn’t mean we’re going to keep going around and around in circles. What we’re going to do is use a simple framework that (kind of) resembles a Ferris wheel (hence the name). And while the process itself is useful for working out many kinds of work, the part we’re going to particularly focus on – because, that’s right, this is a Love post – is relationships. Particularly, over the next month I’m going to bring you through the bloggish equivalent of an “Intimacy & Relationships” workshop that Natasha and I have presented before in live settings. While we have a big chart that I draw fun little pictures on, everyone in the class has their own worksheet that they can use to add their own text (or fun little pictures) to. You get that too! You can download a PDF version of it right here. I get it, I get it. Every single aspect of your intimate relationships is perfect. It’s exactly the way you want it, and there’s not one thing that could stand any improvement. I’m sincerely happy for you! 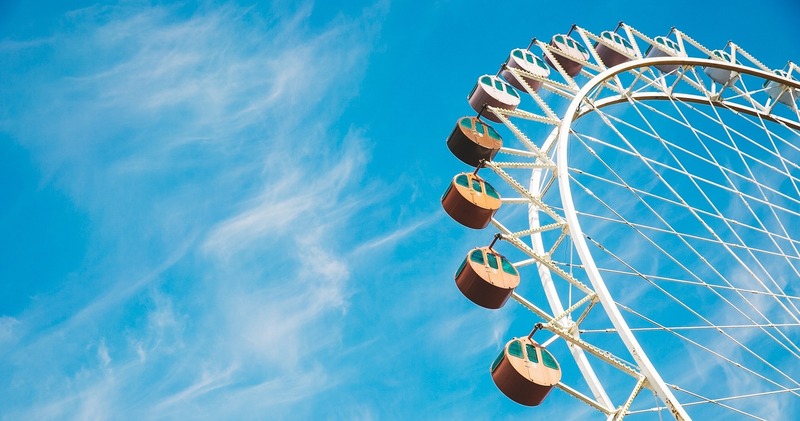 You can either just skip the next month of Friday posts here, or maybe just follow along to check out the process of the “Ferris wheel” and apply it to some other part of life that isn’t quite as hunky-dory as your relationships. My emotions and I made a deal: I don’t bother them, they don’t bother me. That’s the question to keep in the back of your head as you go through this week. What does “intimate” mean, anyway? What qualifies as a “relationship”? If you were the one deciding what a good intimate relationship was for you (spoiler alert: you are), what would that involve? Next week we’ll be taking the first step towards building our Ferris wheel. By the end of the four weeks you’ll not only know the answer to that question, you’ll also know what can help you get that relationship for yourself, and even better, you’ll know exactly what you need to do next to move closer towards that goal. It’s going to be great. With fun little pictures, too. This is really interesting, I’m going to have a look through the rest of the series. It’s funny that you say how some people don’t think that they need relationship advice or counselling. I mean no one’s relationship is perfect! I think it’s just like a car, all relationships need a little service every now and again. This sounds like a really fun way to get some practical advice!